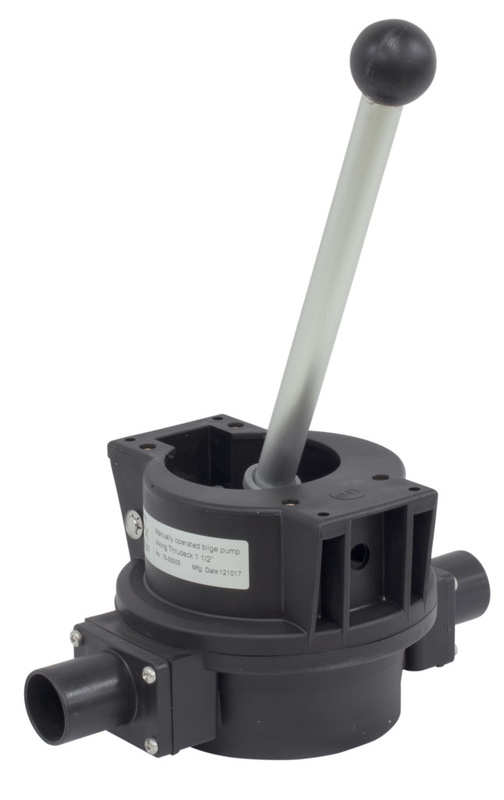 Manual Bilge Pumps, also named Thrudeck, 1 ½" hose connections. Freqently fitted as Manual Bilge Pumps to Hallberg-Rassy cockpits. For some applications, the Housing needs to be opened up and the part with the hose connections needs to be turned 90 degrees. As example, this needs to be done when installing the pump to a Hallberg-Rassy 40 Original.